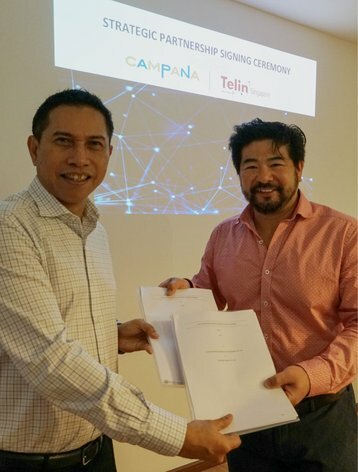 Telekomunikasi Indonesia International (Telin Singapore) has announced a strategic partnership with the Campana Group to offer the fastest Internet connectivity between Myanmar and Singapore, using the upcoming Singapore-Myanmar Submarine Cable (SIGMAR) system. Telin Singapore is a wholly-owned subsidiary of PT Telkom Indonesia, the largest telecommunication service provider in Indonesia. The 2,227km SIGMAR system will land in Tuas in Singapore, with the second landing station housed at Campana’s International Gateway (IGW) facility in Thanlyin, southeast of Yangon in Myanmar. The four fiber pair cable will cut through the Andaman Sea and along the Straits of Malacca, one of the most important shipping lanes in the world. SIGMAR will connect Myanmar directly to Singapore and will be installed with branching units to enable optional landing in Thailand and future interconnections with other cables. Telin Singapore will offer access to the landing site at Tuas as well as local connectivity, and will lend its support for permitting in Indonesian waters to significantly reduce the time to market. SIGMAR is scheduled to be ready for service in 2020. The project will be Campana Group’s first infrastructure partnership in Singapore and will also considerably enhance Telin Singapore’s network links to Myanmar. The former has a license to offer wholesale and B2B services via its own international gateway. "This strategic partnership with Campana Group will strengthen our commitment with SIGMAR as an additional international link to provide low latency and seamless connectivity across the region," said Andreuw Th.A.F, CEO of Telin Singapore. "With Campana’s strong presence in Myanmar and Thailand, we are confident to meet the increasing demand for bandwidth, colocation, and critical IT infrastructure services in this region."